Take control of the small fish, who must be able to stand up for itself to survive. The more this small fish it eats, the bigger and more experienced it becomes. 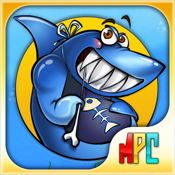 In this fish game you will get a definite number of scores for each eaten fish. You can increase your abilities, restrict movement, add or lose scores by eating other things. The vast expanses of the ocean are open to you: Feel Freedom!